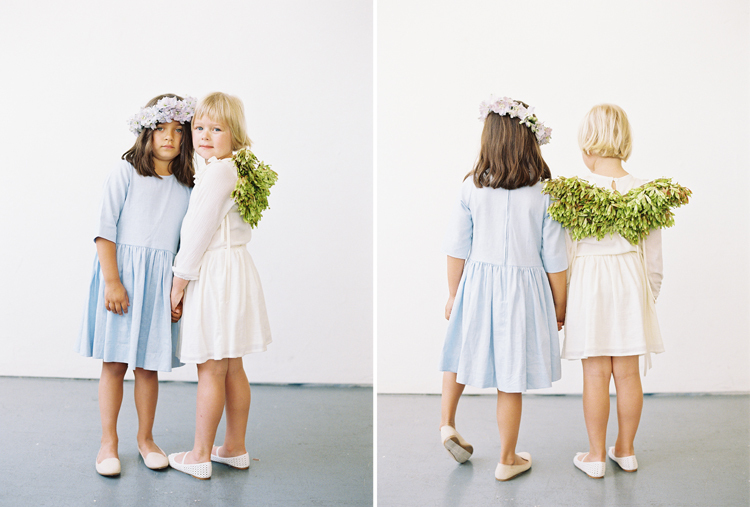 This was such a lively photoshoot with all the kids playing off each others energy! 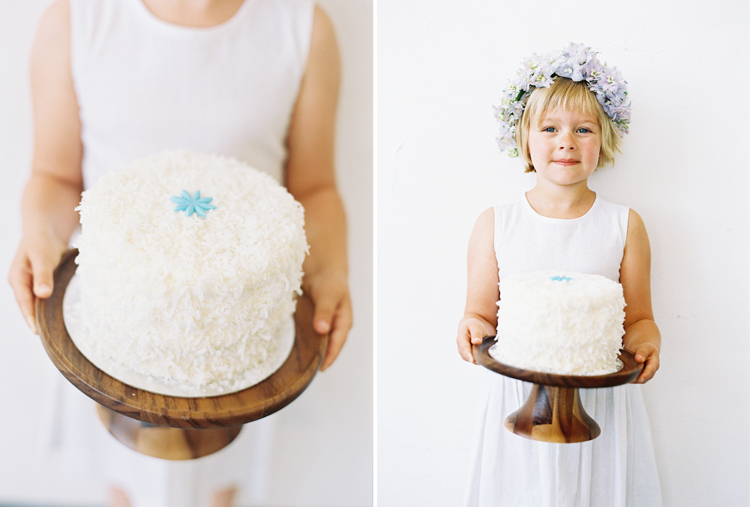 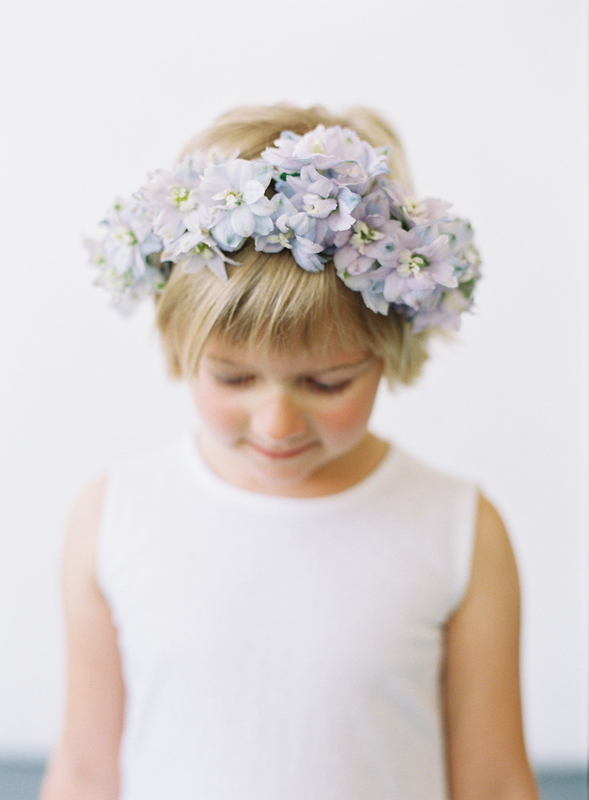 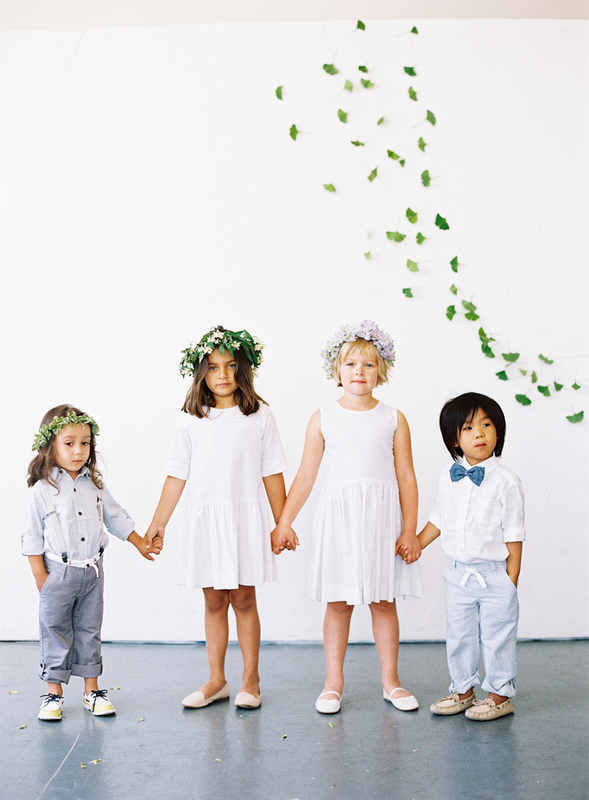 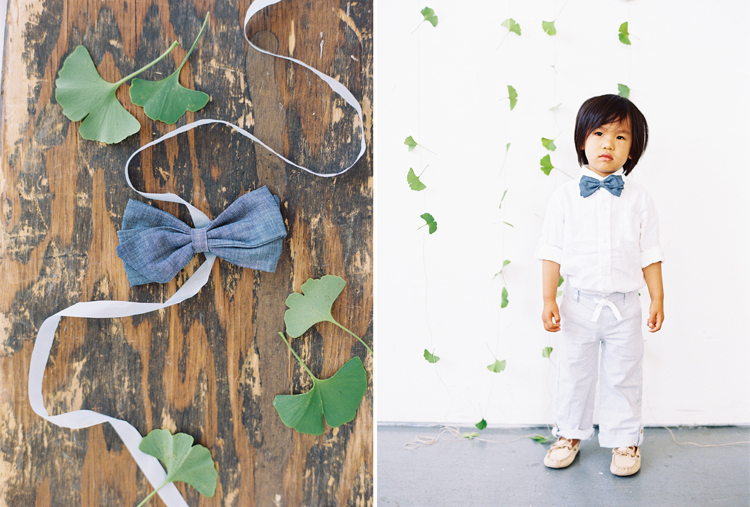 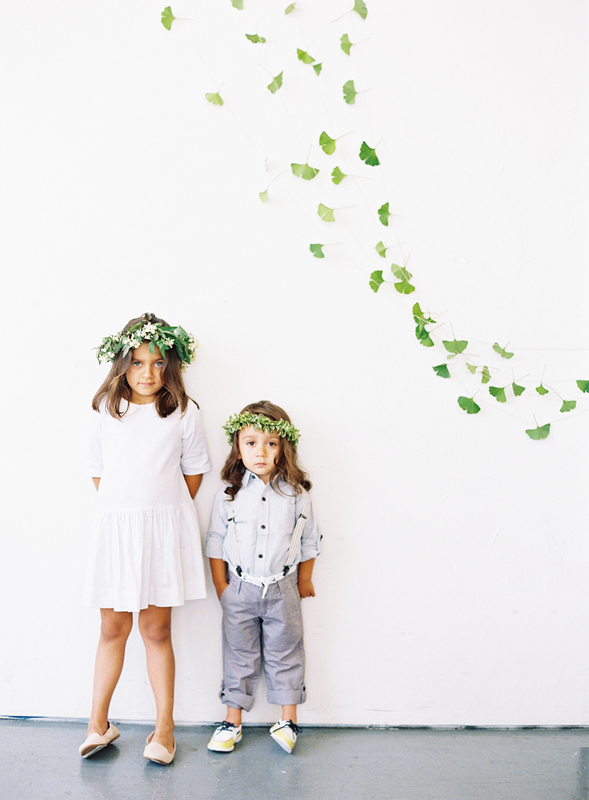 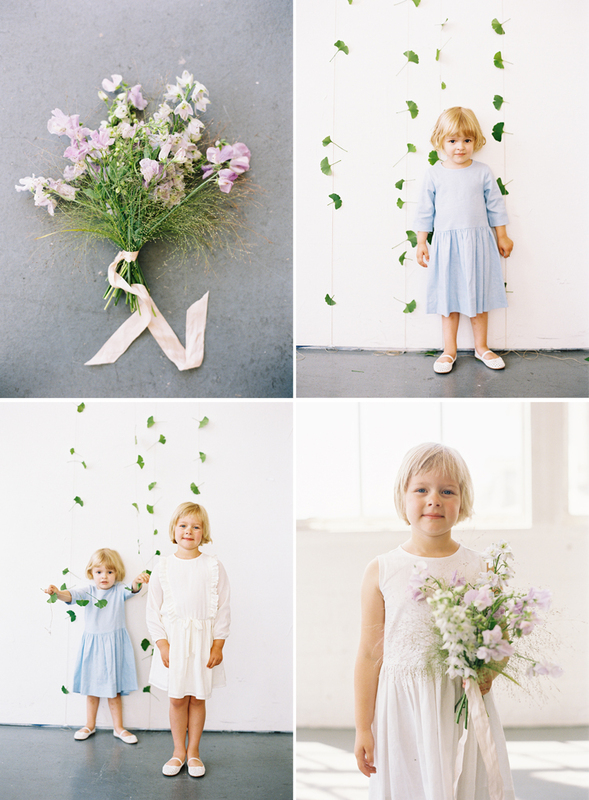 This feature shoot for Geraldine Magazine, available now in select Anthropologie stores, has plenty of ideas for the children in your wedding party, from the flower girl to the ringbearer. 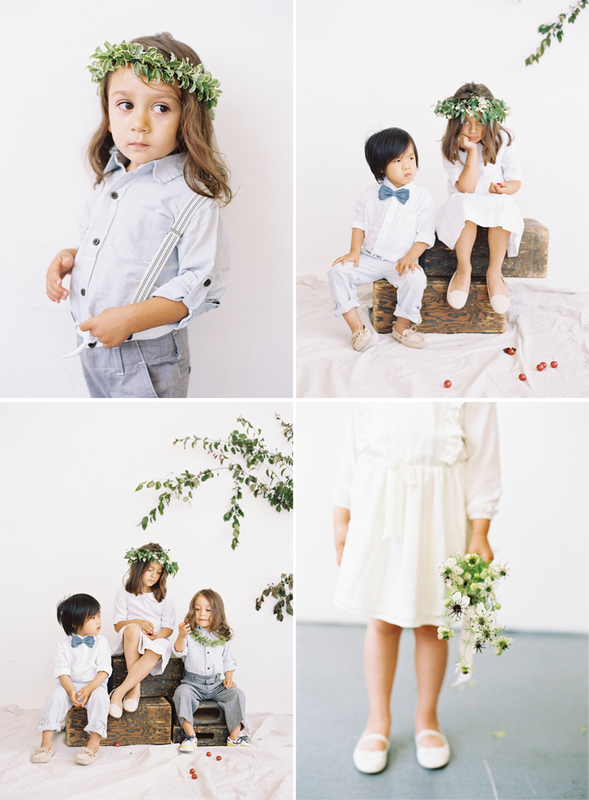 These simple yet stylish outfits are perfect for your little one for that wedding or fancy party, with breathable and comfortable fabrics that take on a playful air. 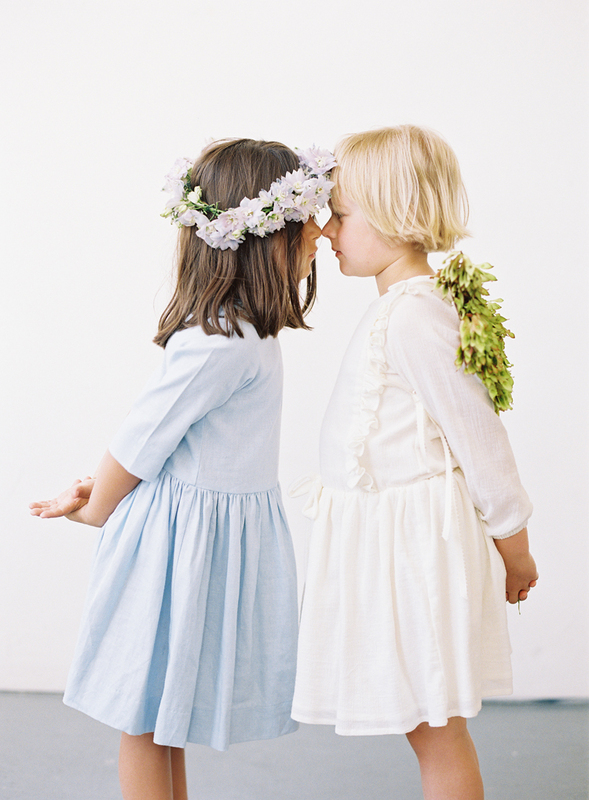 Knee length smock dresses in a single soft color are relaxed and fun, while bowties keep things dressy and playful. 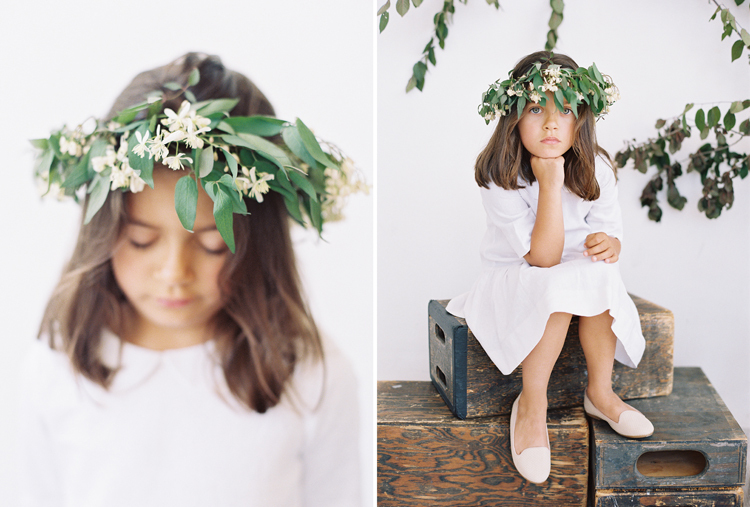 What a gorgeous and simple look! 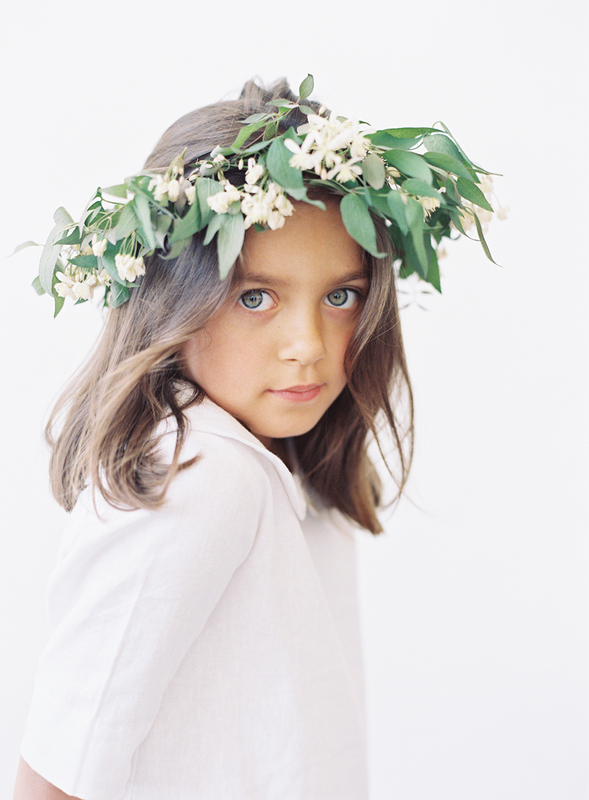 Handmade floral crowns add a lovely, whimsical touch and are a fresh and natural addition to any outfit. 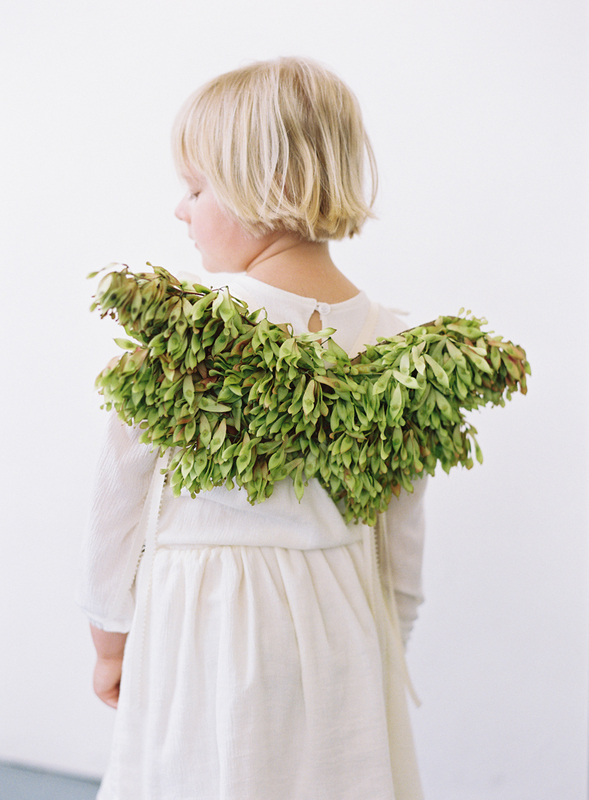 These gorgeous wings are crafted from the seeds of Ailantus altissima, otherwise known as the tree of heaven–perfect for your little angel on earth. 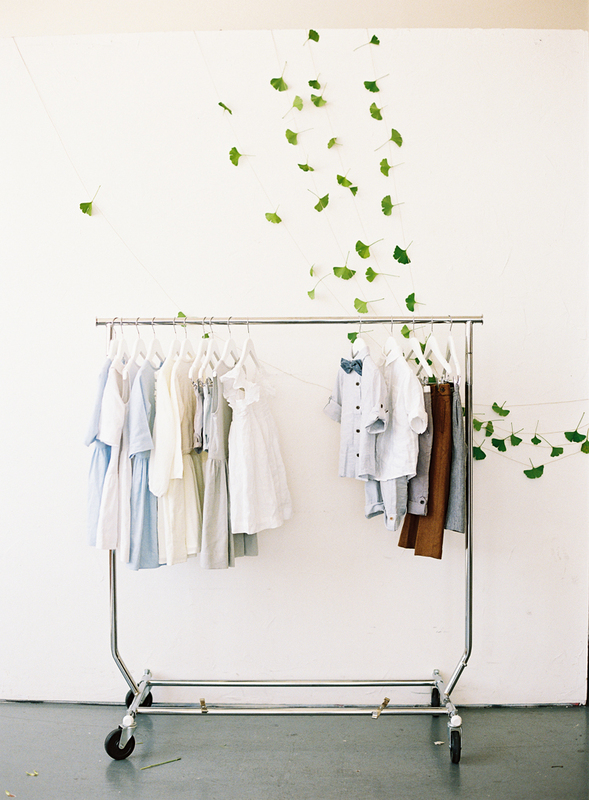 These playful little wings are made from the leaves of the ginkgo biloba tree, a great accent to the simple button-up and slacks look.